I’ve been blogging for a long time now, and over that time I’ve been fortunate enough to make a little bit of income from time to time. I never started blogging to earn money, back in 2013 I’m not sure you even could earn a lot! But the world of media has grown, and with it having a blog has become a genuine and real way to make income. For me, blogging was always a bit of fun and what it’ll always be, but it’s great knowing I’m able to make some more income from it from time to time. Some say you should never start a blog just to make money, but it’s such a common thing nowadays I don’t think there’s a problem with it in the slightest, as long as you’re enjoying it, it’s worth it! I use a few tricks to help earn some extra income from my blog, which I thought I’d share with you today. There are so many blogger opportunity groups online. A favourite of mine is the UK Bloggers Opportunities Facebook group. Every day there are different people posting different opportunities, from events, review opportunities and sponsored posts. I like to keep an eye on this page, along with a few others every few days to see if there are any that suit me and my blog. Twitter is another great site to find opportunities – brands are always using hashtags like #bloggerswanted to request bloggers for reviews and posts. Likewise, if you have a specific idea in mind, you can use the hashtag #prrequest to request for certain opportunities you’re after. Another way of making a little bit of money from blogging is by using affiliate links in your posts and on your page. By using affiliate links you can earn a little bit of money for every click or sale from your link, depending on what site it’s with. Amazon has a great affiliate site where you can link pretty much anything. Another site I use often is Shop Style Collective which is great for sharing fashion and beauty items. Adverts is another way to make a little bit of money without having to do a lot – I have used Google Adsense in the past. It’s important to note these adverts are unlikely to make much money unless you have a significantly large viewing on your blog – but every little counts! 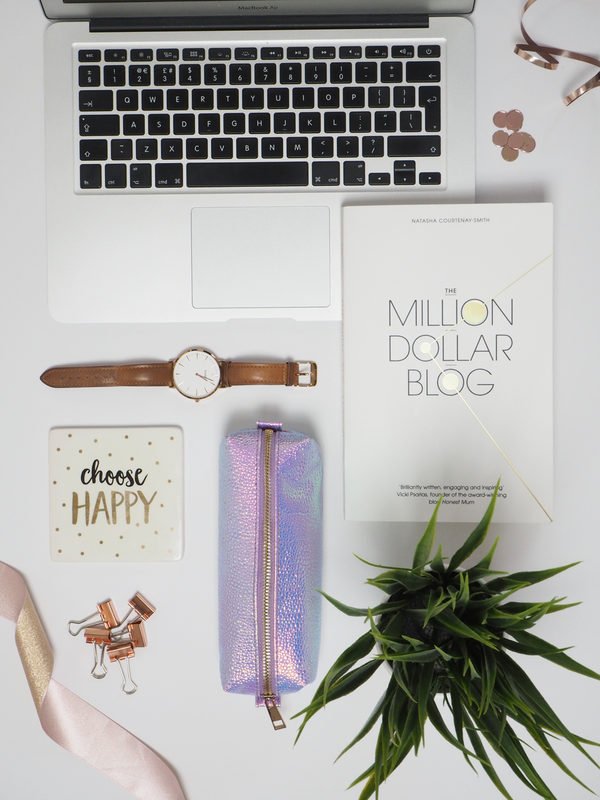 Chances are if you’re a blogger you’re one talented person – so sell those talents!! You might be able to make graphics for brands or companies, or perhaps work for other bloggers in slightly smaller scale projects such as making headers or media kits. You’re clearly an expert in your field already so becoming a Freelancer is always another option for income. Hopefully, these give some ideas on how to make a little bit of income alongside your blogging. If you found these tips helpful, check out my other blogging posts for some more advice, you might like Bloggers Apps and Tools or Ultimate Flatlay Props. What are your top ways of making money from blogging?